Previous questions to Dr. Attwood have been incorporated into a book titled "Ask Dr. Tony", published by Future Horizons and is now available at a book store near you (or online). This is a very sensitive topic and one that hits home with Dr. Tony and his son, Will. Will has since gone on to write a book about his personal experiences: Asperger's Syndrome and Jail: A Survival Guide. In this conversation, Dr. Tony address his learnings from these events, first-hand. "Ask Dr. Tony" - The Book - Is Here! ​10/15/18 - Dr. Tony Attwood and Craig Evans are pleased to introduce "Ask Dr. Tony," ​their second book together. 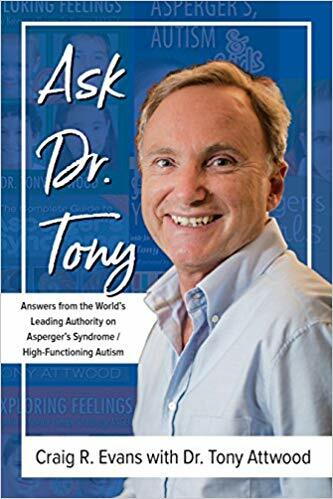 The book is a compilation of fifty episodes of the Autism Hangout question-and-answer program video series in which Dr. Tony Attwood directly addresses the most pressing questions of those touched by autism. It also includes bonus sections of questions and answers from specific groups such as parents, teachers, public servants, social workers, and more. This book is an invaluable resource to keep helpful information present and available to the public. Craig and Dr. Tony's mutual goal? Thriving with autism! “Who in the autism community has ever wished for a direct line to Dr. Tony Attwood? Or has spent time wondering what Dr. Attwood would think about the problems and situations that frustrate our lives as people with autism? This book is full of thoughtfully crafted questions originally asked by the autism community and answered through discussion between Dr. Attwood and C. Evans with care and concern. ​I'm DELIGHTED to report that Dr. Tony and I are teaming up (again!) for another book! This time it's to document (in print) the wisdom he's been sharing for years through the "Ask Dr. Tony" video series! It seemed the natural thing to do since there's an archive of close to 40 programs at the youtube Autism Hangout channel. And now that we've started the series back up again, there's even more to come! We're humbled and honored that Future Horizons will be publishing this book of wisdom. Watch here for updates!" 12/11/17 - December 2017 Episode now posted! 9/21/17 - September 2017 Episode now posted! - Trouble with "closure" and "why?" ​We're hoping to post new "Ask Dr. Tony" programs every 6-8 weeks. If you'd like to submit a question, please fill out the "Question Form" found at www.autismhangout.com. Due to the high number of questions received, we may not be able to include them all. 10/6/17 - "Found in Translation" documentary about Dr. Tony Attwood now posted! Professor Tony Attwood believes the "out of the box" thought processes of people on the autism spectrum will solve the world's big problems. He is credited with being the first clinical psychologist to present Asperger's syndrome not as something to be "fixed " but as a gift, evidenced in many of the great inventors and artists throughout history. But while Professor Attwood has reached the top of his field, he reveals in this episode of Australian Story the personal cost of a missed diagnosis in his own family. Early in his career, he didn't see the signs of Asperger's in his son Will. The consequences were devastating for everyone. on Asperger's Syndrome, Dr. Tony Attwood. Dr. Tony Attwood would like to personally address your questions about successfully living with the challenges and gifts of Asperger's. This site is dedicated to fielding questions and addressing issues via a free, semi-monthly video posted here at Autism Hangout. 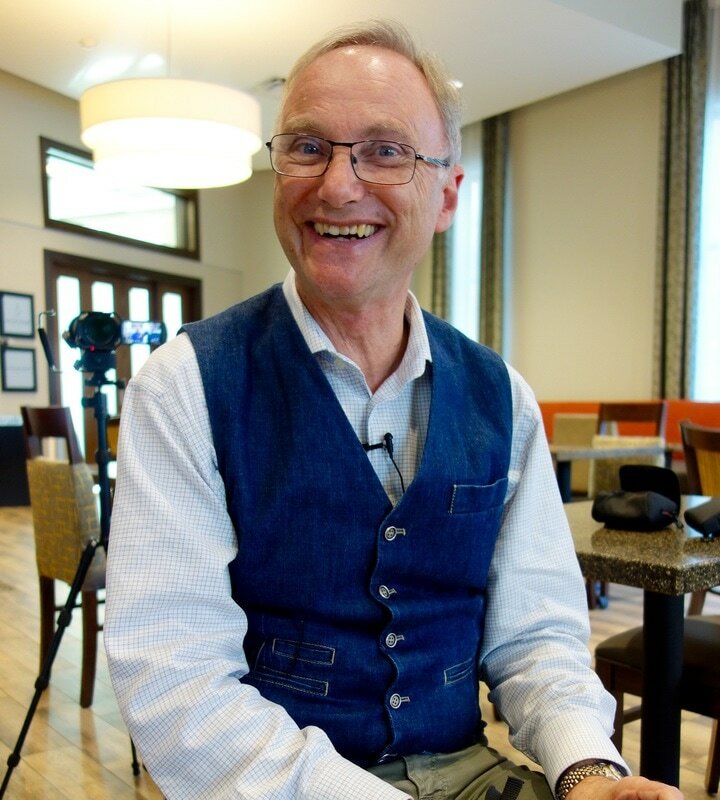 In 2008, Dr. Tony Attwood and Autism Hangout host Craig Evans started the ​"Ask Dr. Tony" program... a 10-30 minute video interview where Dr. Attwood addressed up to 12 select questions submitted by the 2,500 members of Autism Hangout. Forty-seven of those original shows can be found here. ​Due to the program's popularity (some shows have received over 50,000 views), and the ongoing need to quickly share insights, learnings and helpful techniques with the autism community, Dr. Tony and Craig are teaming up again to address your questions ​about living a successful life on the spectrum. The new "Ask Dr. Tony" show will feature a more refined focus based on the book Been There. Done That. Try This!